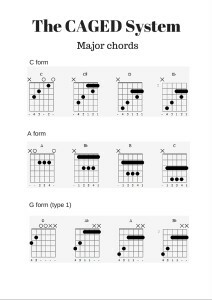 Home / Chords / The CAGED system: Major chords. 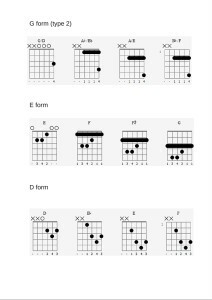 Use the CAGED system to play major chords in several positions. 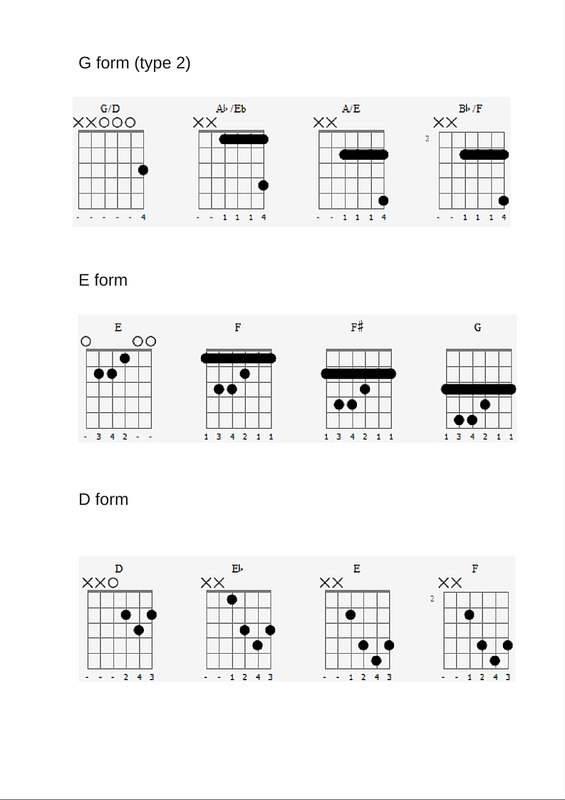 (For those who want to go into more detail about the CAGED system, I am currently writing an e-book on the subject. 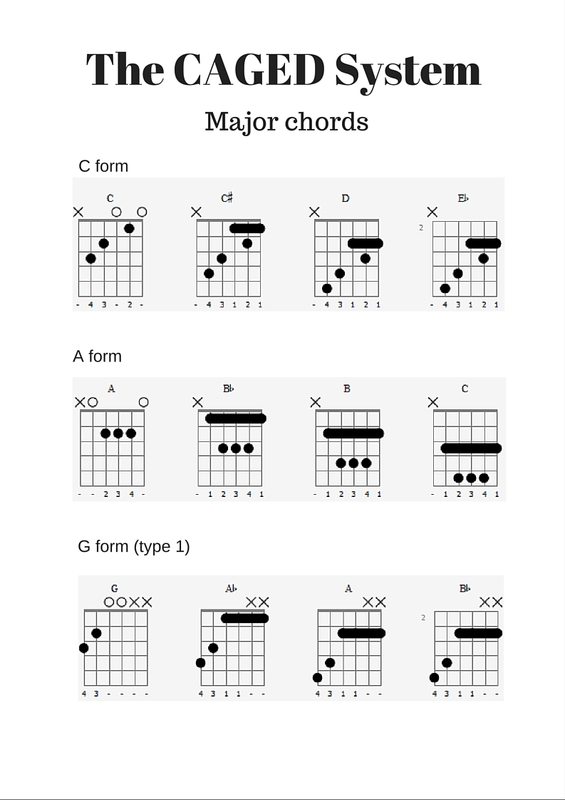 In the meantime, check out my posts on major and minor arpeggios using the system.